This close-up view of a crater in the Baetica region on asteroid (21) Lutetia shows boulders and landslides. 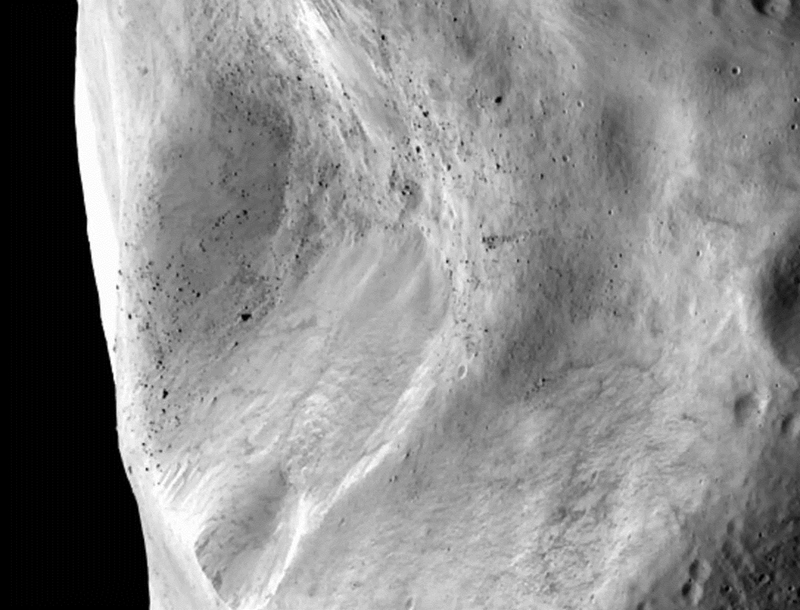 Several hundred boulders up to 300 metres across have been identified - these are among the largest rocks found so far on small bodies in the Solar System. 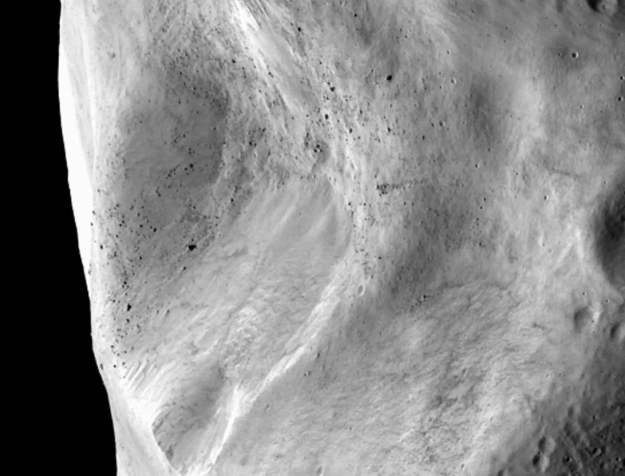 Landslides on Lutetia are thought to have been caused by the vibrations created by impacts elsewhere on the asteroid dislodging pulverised rocks. This image was obtained by the OSIRIS imaging system on Rosetta during the 10 July 2010 flyby of asteroid (21) Lutetia.